Beautiful LAKEFRONT building lot on Lac Calista (5 acre fishing lake) at Terre du Lac. 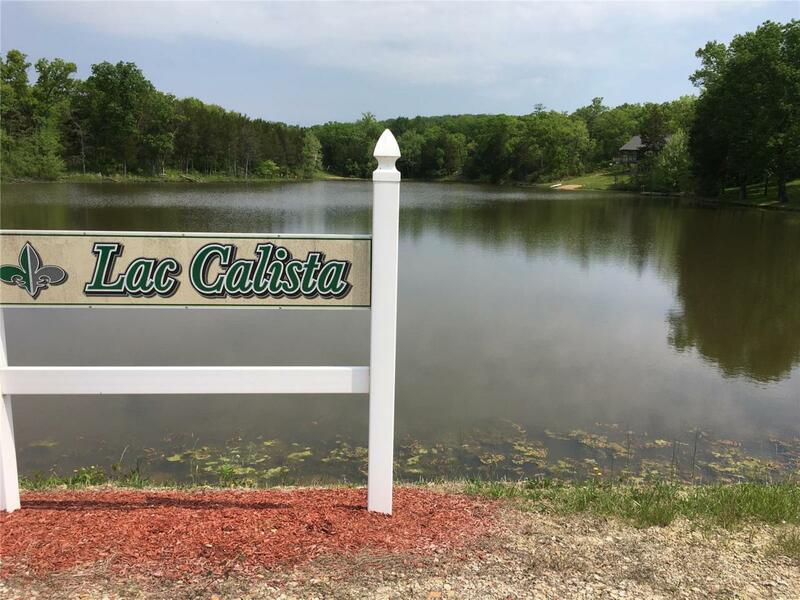 Build your dream full-time or weekend home here and enjoy scenic water views, as well as fishing, swimming, and kayaking on Calista, and even water-skiing and tubing (on one of our 4 ski lakes). TDL Utilities offers hook-up to community water and sewer lines at the road. Terre du Lac is a 5,200 acre lake and golf resort with Country Club and restaurants, just an hour south of St Louis. Lot 3 (adjoining, MLS#17038515) could also be purchased. Listing provided courtesy of Re/Max Best Choice. Listing information © 2019 Mid America Regional Information Systems, Inc.